What do we expect from policymakers and regulation at European and national level in order to achieve recycling targets? How do we increase demand for secondary raw materials? What kind of incentives do we need? How do we achieve recycling targets through EPR schemes? What are the specific issues for very low performing countries? How can the private waste management industry and EU funding help the 14 member states falling short of the 2020 objectives set out in the Waste Framework Directive reach their 50% recycling target? And, in general, the whole EU to achieve the new recycling targets of the Circular Economy Package. 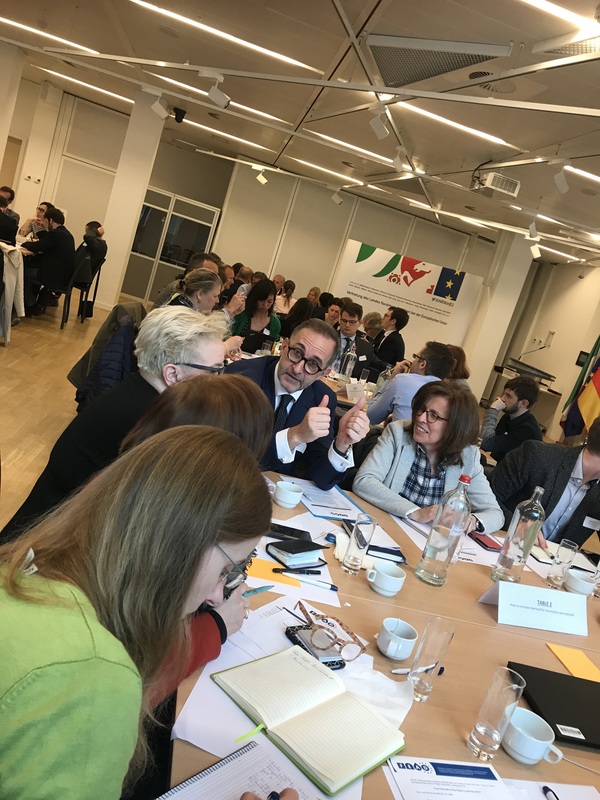 Key players involved in the day to day of waste management gathered around tables for a brainstorming session with policy makers, key stakeholders, the European Parliament, the European Commission and the European Economic and Social Committee. Are the recycling targets in the Waste Framework Directive and the Packaging and Packaging Waste Directive too ambitious? Of course, they are ambitious as their success depends on many external factors. We hear the word recycling a lot, but I would like to emphasise that “recycling” is not something that exists because we say it does. Recycling exists because there is a market that collects material to be recycled: the private waste management market. You say they’re ambitious, but you seem to imply that you do believe they are achievable, how so? Create a shock demand for recycled materials which would consequently give private waste management investors the visibility and certainty they need to go ahead with investments. There is a need to invest up to € 10 billion in our sector, to innovate and expand the separate collection, sorting and recycling capacity at EU level. Our industry is prepared to make the necessary investments if there are legislative measures ensuring a significant uptake of plastic recyclates. Public authorities, at national and local level, need to set up strong tools for preparation to ensure the success of improved selective collection. Citizens need to be engaged! This can be achieved through effective labelling by informing consumers about the recyclability and the percentage of mandatory recycled content in a product. My dream is also that products containing recycled materials become cheaper than products based on virgin materials. Do you think the market for recycling and recovery of waste is like any other market? 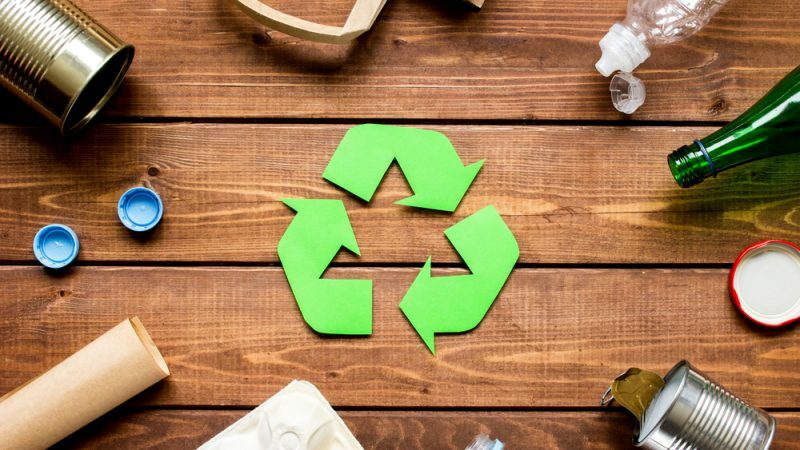 It’s a market that is just beginning to develop and the demand for high quality recycled materials is in its early stages. One of the reasons for uncertain and weak demand is the price gap on the commodities market. The market favours virgin materials which are less costly but have a high environmental cost over recycled materials which are more expensive but are better for the environment in the long run. In my opinion, avoiding CO2 emissions must be rewarded much more than it is today. For us to produce quality products, we need certainty and visibility, and some strong pull measures such as mandatory recycled content in new products. These recycling targets have been put in place to achieve a circular economy, what else do you think is necessary for its success? The Circular Economy needs positive incentives, not penalties nor additional environmental taxes. To close the loop, we need an effective and affordable solution for the whole recycling chain as well as for the residue from recycling and for non-recyclable waste. Treating residual waste is part of the chain, and waste-to-energy has an important role to play when it comes to residue recovery. Do you think brainstorming sessions such as the one you held today are an important factor in reaching the recycling targets? A lot of ideas were proposed today, and I think it is important to bring different stakeholders together in order to show that each party is motivated to achieve the goals set by the European Commission despite our different views. I hope that participants left our event today brimming with solutions and positivity, but what I would like to emphasise is that the Circular Economy targets will only be achieved with the long-term involvement of the private waste management industry. In that respect, FEAD will continue to play its role in suggesting solutions for an efficient EU regulation. FEAD is the European federation representing the private waste and resource management industry across Europe. FEAD’s members are national waste management associations covering 19 Member States, Norway and Serbia. Our companies play a key role in the transition to a circular economy by producing resources which can be re-injected in the economy and by supplying energy. They add value through innovative collection, sorting, recycling of secondary raw materials, material or energy recovery, in a competitive environment. In doing so, they play a key role in achieving the best economic and environmental outcomes. A report on the event and the solutions that were brought forward by the participants will be released in April by press release and on our website: www.fead.be.